August was a little uneventful, although Wesley and I did watch the Hogwarts light show at Universal Studios with our friends… and it was amazing… we didn’t get around to do much during the month. With work and other personal obligations, we ended up staying at home for most of the month. So, instead of doing a monthly recap of what we did, I thought I do a current favorites of some of the things I’ve been currently loving. 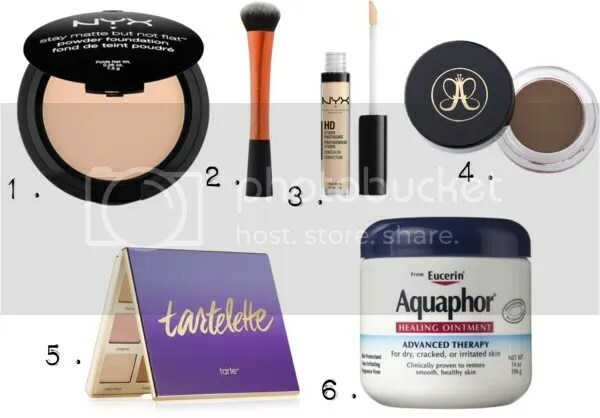 NYX Stay Matte Powder Foundation – I picked this powder up a while ago on a whim because one weekend I forgot all my make up at work (I do my make up at work) and this was a great find. I have really oily skin and this helps keep me matte for the most part. Although I have to reapply, it doesn’t look cakey, but natural. Real Techniques Face Brush – I love dense brushes for liquid foundation. I wear liquid foundation everytime I do my make up, even if it is minimal make up. This brush help spread the foundation evenly and consistently without streaks. Also, these line of brushes are so affordable and are great quality. This brush holds up with weekly cleanings and it doesn’t shed. NYX HD Concealer – I bought this concealer the same weekend that I bought the powder foundation. I have heard a lot about this product and was curious about it. I really like this product because it’s not too liquid, it has great coverage, and blends in seamlessly into my skin. Anastasia Dipbrow Pomade – I have a weird thing about my eyebrows. Most people say that I don’t need to fill them in, but I always feel the need to have them done. For a while, I was a little hesitant to buy this product because of the price point ($18), but one day I decided to bite the bullet and buy it. I have no regrets. Although you need a light hand to apply this pomade, it is amazing. It doesn’t move and it keeps your hairs in place. I absolutely love it. Tarte Tartelette Palette – My best friend got me this palette and it is so good! The texture of the powders are so smooth and not chalky at all and they blend so well. The palette consist of neutral colors so it can go with almost any occasion. 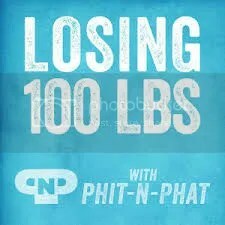 Podcast Favorite – Losing 100lbs with Phit-N-Phat – Yes, the name of this podcast is ridiculous, but I have been really trying to get into a healthy mindset about my body and mind. I figure, if I can listen to positive things about healthy eating and healthy lifestyle I too can be on the right track to a healthier life (kind of like “fake it, till you make it” mind set). I didn’t think I would like this podcast because the host, Corinne, is way over the top with her southern accent and her persona, but I’ve been really liking the “tough love” that she gives. She lost 100lbs over a the course of a few years and she shares her experiences and gives her tips on how she got in mindset to loose weight and how to do it right. She also calls out all of the excuses to everyone of us tells ourselves on why we can’t loose weight. Love this podcast. Music – I have fallen back into listening to 30 Seconds to Mars. Growing up I loved their music and I still do, but when they released their newest single “Walk on Water” I instantly was hooked back on to their music.